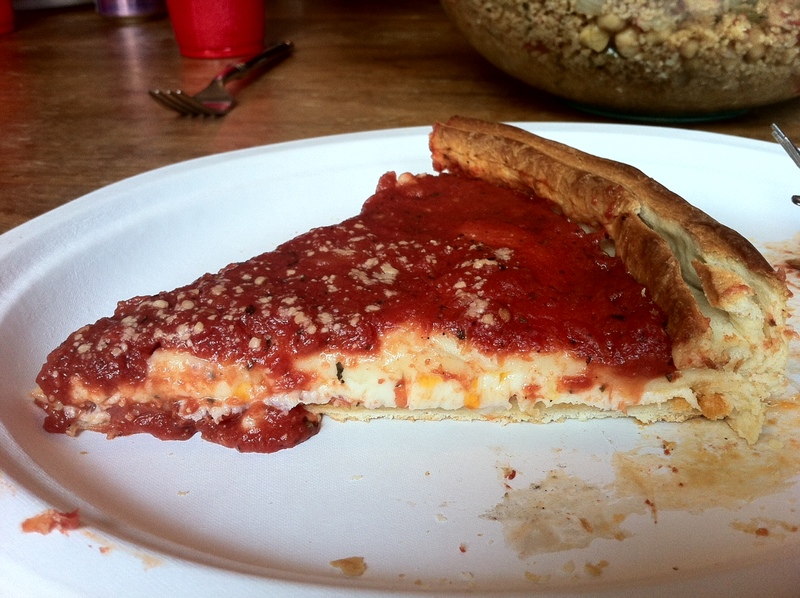 For those of you that don’t know, Giordano’s is the king of Chicago-style deep dish pizza. Some may dispute my claim and have valid reason to do so. 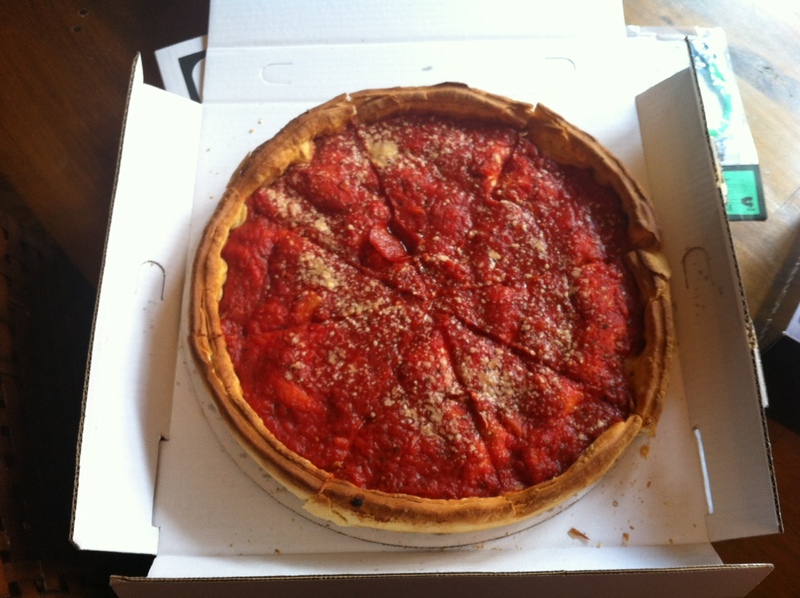 After all, I am no resident of Chicago, but any claims of Lou Malnati’s or Uno having better pizza I can quickly rebuke. So in my limited visits to Chicago, Giordano’s is my go-to deep dish. Chicago-style deep dish is often called more of a casserole than a pizza, but whomever makes such claims are outrageous. It may be thick, the sauce may be on top, but it is certainly pizza. On this Chicago outing, we ordered one pepperoni and one spinach pizza. I had no part of the spinach, but it is worth mentioning simply because the only thing distinguishing these two pizzas externally was a single pepperoni that Giordano’s had tossed onto the real pizza. I took myself a slice and got to work on the only style of pizza in the world that I condone taking a knife and fork to. It was as glorious as I remembered and brought back a rush of pizza memories. 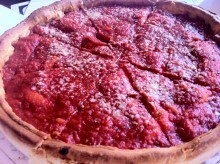 The crust and sauce are what make Giordano’s so good and these were spot-on on this pizza. The crust was hearty, but slightly crumbly and the sauce was just perfect. It wasn’t just some simple marinara, but a thick tomato sauce built for the sole purpose of being a part of a thick pizza. Stop being so strong, gravity! One thing that was a little strange to me was that the pizza wasn’t quite as thick as I remember. Sure, it was plenty deep, but in my memory a single slice was equivalent to at least three slices of any lesser pizza. Perhaps gravity was a little heavier that day or my memory is not what it used to be. Either way, there was no disputing that this was a delicious way to finish out my weekend in Chicago. No trip to the Windy City is complete without some true Chicago-style deep dish and Giordano’s is pretty much the best way to do it.